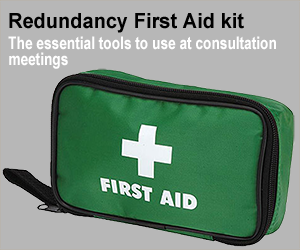 Redundancy may well come as a shock, you may be struggling to take in all the options and feel personally rejected. However redundancy isn’t personal, all the help and advice on this site should allow you to maximise any money owed to you as part of the process and you should use it as a fresh start to further you career. If you are struggling to cope with the situation then talking to friends and family about your options can help, if you are part of a group redundancy then working together can be beneficial, as you can share advice and support about your experiences. There are also independent and free options to get support, Citizens Advice can help with redundancy, managing bills and much more, if you really feel that you can’t cope talk to the Samaritans. 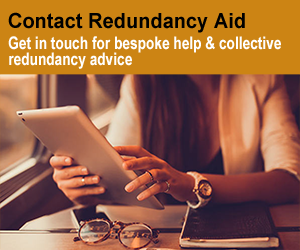 Losing your job is stressful, but needn’t lead to debt and financial problems, if you have worked at a company for over 2 years you are entitled to at least statutory redundancy pay and notice. It is worth signing on for job seekers allowance as soon as you are made redundant and are looking for another job, find and contact your local Job Centre to start the process. Check any personal and employment related insurance policies you may have; these may well cover mortgage payments and other bills. Depending on your income you may be entitled to other benefits, check out what you are entitled to for your circumstances by clicking here. You can also get free independent advice on managing your money via the Money Advice Service. The best place to start on your quest for a new job is the Job Centre Plus, they can register you for benefits, give you careers advice and help find jobs, plus let you know of any retraining opportunities. There are many job search websites and agencies that allow you to search by region and upload your CV, one of the biggest with a huge number of jobs is Indeed.co.uk. If you need help with CV writing and job applications, there is free help and an online tool at the National Careers Service.